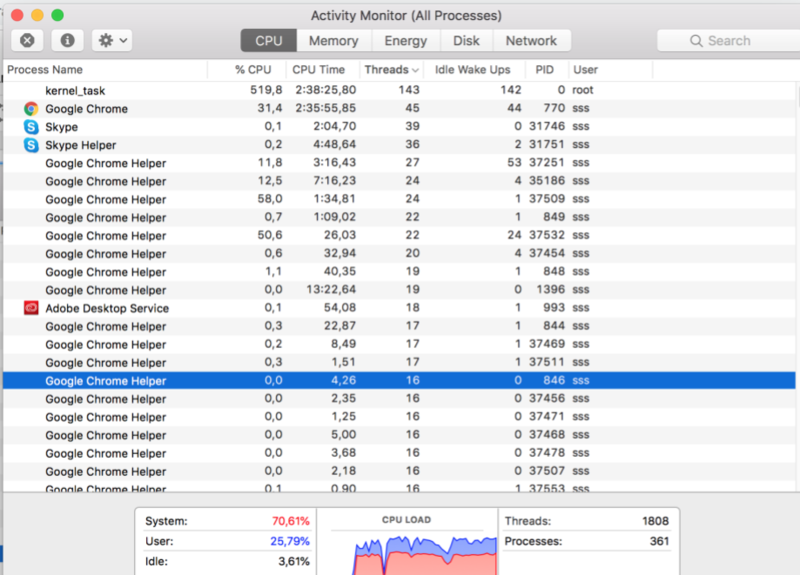 The activity monitor is showing strange things, like kernel CPU % usage being way above 100%, between 200% - 1.000%. At the same time the cooling fan is running at max speed and the CPU temperature seems to be 47°. At the same time, everything started to react very slowly. I am only running chrome with 3 tabs open. What could be the problem? Am I reading the % correctly and why would it show >100%? 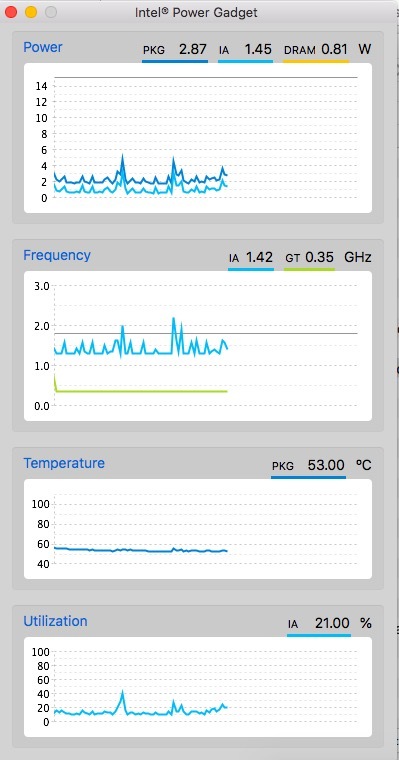 Not sure where you get the CPU temperature but it does not seem to be accurate, if the CPU usage is so high. The Type "Kernel" in the search box. 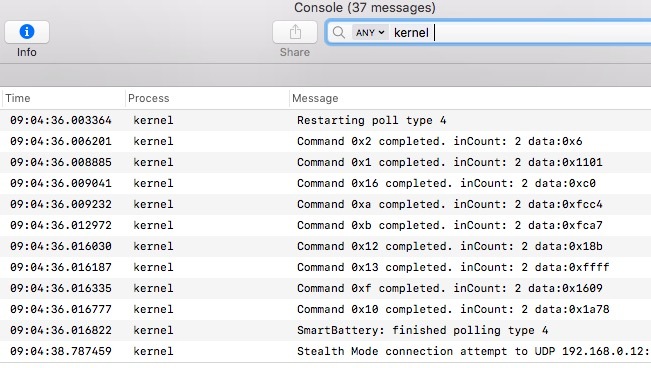 Now you can see what Kernel is busy with. You can copy and paste here for us to help you with reading. Not the answer you're looking for? Browse other questions tagged cpu temperature .